If you’re preparing for a big move, you will likely be selling your home before you prepare to leave. One of the most important factors to consider when taking on the task of selling your home is how it will appear to potential buyers. You want your home to stand out but not in a bad way. When your agent brings interested clients into your home, you want them to instantly imagine themselves living there. A staged home with nice furniture and neutral decorations can help make those clients’ imaginations a reality. A successful home staging brings more and more viewers to your home and increases its chances of success. Stage your home the right way with these helpful tips. First and foremost, you want your house as clean as can be. Picture how you’ve felt in the past when you walked into a neighbor’s or friend’s dirty home. Was it full of clutter? Was it difficult to walk around without stepping on something? Did you find yourself noticing dirt or dust? If you were looking to buy a home, would you feel comfortable in a house like that? Most likely you would not. Make sure your visitors don’t have to have that same experience. Give your house a thorough cleaning to ensure that it is welcoming. You want it to sparkle like new. Every surface and floor should sparkle. Scrub counters and sinks and tubs to really elevate its appearance. Clear all the clutter away from all visible rooms and spaces. Purge unnecessary items, appliances, and decorations for a neutral yet inviting space. Every visitor will want to take a look at the closets to determine how much space there is. Everyone is interested in a lot of closet space for clothes, storage, and other projects. To make things easier and more inviting for your potential buyers, keep your closets wide open for them to see. Make sure the closet is clean and organized, of course. You’ll want to leave at least 30% open space in your closet to give an appearance of spaciousness. If you have pets, it can be very difficult to remove all odors and hair. All pet owners understand that their animals will leave certain impressions upon the home. But not all visitors and potential buyers like pets. Be aware of those who are allergic to pets or who don’t like pets at all. Just to be safe, you may want to steam clean all rugs and put away all pet toys and food. Do your best to make sure there’s no sign of any pets in the house. Play up your exterior space as much as possible, as well. Clients will be just as interested in the outside as the inside. 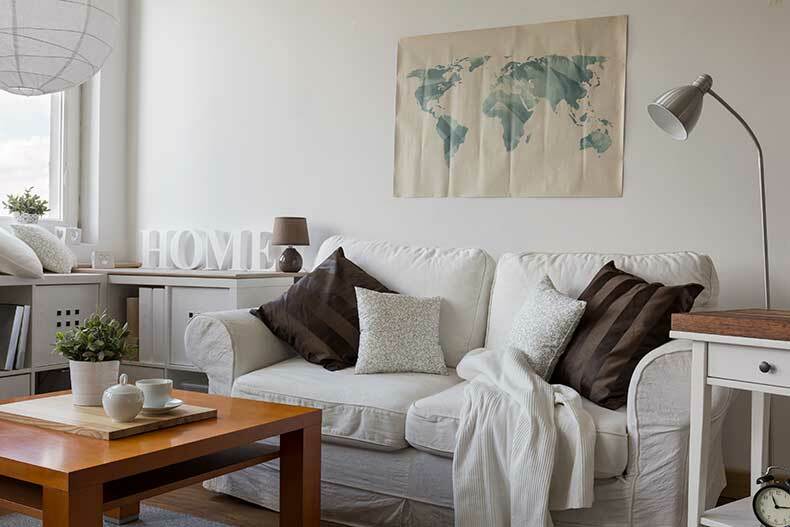 Help them maintain the fantasy of imagining themselves living there by completing the home staging experience. Place a café table outside and decorate your patio with neutral furniture. You can apply this same mentality to extra rooms inside the house, as well. Neutral furniture can give an impression of space, and guests will be able to imagine them using the room to fit their needs. A professional home stager can use their own props and professional interior decorating skills to help spruce up your home. While hiring a professional always adds an additional cost to your home selling expenses, it may be worth it if you don’t have enough furniture or props of your own. A home stager can give excellent decoration tips and use props to create an inviting and clean house for all of your potential buyers.